In order to help the reconstruction of a country destroyed by war, it is important for the Chechen youth to be able to gain the appropriate expertise to contribute to rebuilding Chechen civil society. The three public universities in Grozny were greatly affected by the Chechen wars of 1994-1996 and 1999-2008, including the libraries, which went up in flames and used as strategic battlegrounds. The remaining stock of textbooks is therefore in short supply and largely outdated. 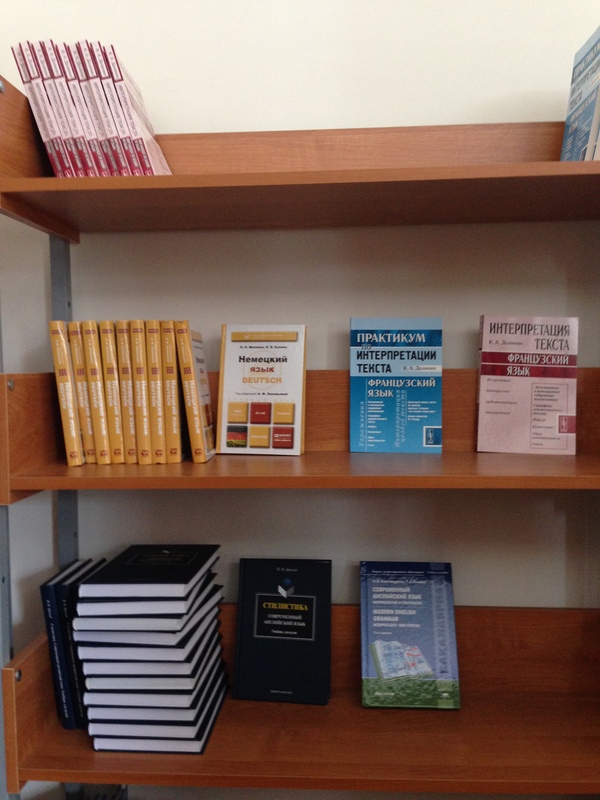 The project Books to Grozny aims to improve the available equipment and improve the educational conditions in Grozny. 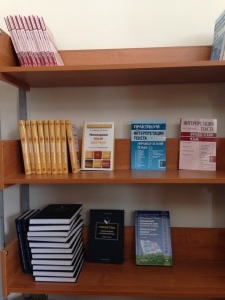 The aim is to equip the different faculties of Grozny universities with appropriate and modern learning materials. It has always been the intention of SOG to include and incorporate students, teachers and professors in the decision-making processes: Chechen students and professors are the ones who decide which books are needed the most. The project Books to Grozny offers Chechen students better access to educational material, which the Chechen state structures are unable to provide due to the current political, economic and social hardships. We hope that those participating and profiting from the Books to Grozny project are able to have a multiplier effect on the Chechen populace, participating and contributing actively in Chechen civil society and education. By supplying libraries with up-to-date literature, ESF-Studieren ohne Grenzen e.V. wants to support Chechen youth by developing the skills necessary for rebuilding Chechen society. Through the improvement of the educational infrastructure, the hope is to advance critical thinking and promote the conditions for social, economic and political participation. In March 2012, the first 281 books were sent from Darmstadt to Grozny. Financing happened in part through private monetary donations, and in part through the donation of books by publishing companies. Inside those books are bookmarks and stickers, which bring attention to SOG and the Books to Grozny project. Furthermore, these flyers facilitate the contact of Chechen students with our project. In the summer of 2014, SOG was able to send an additional 300 books to the Foreign Language Department at the Chechen State University. Prof. Dagirov, who communicated with us the positive effects of the project, has gratefully received these Russian textbooks for German, English and French courses, in addition to 15 geography maps of diverse countries. In October 2014, Prof. Dagirov visited Leipzig and, amongst other things, met up with members of SOG to critically evaluate the progression of the project and underline possible areas of improvement. In the coming months, we hope to continue supplying different departments, faculties and universities with the necessary books for a suitable education. whether you need literature on a specific research topic or for a particular department in general. Please use our online poll by following the links below to make your title suggestions, provide us with the desired information and give us feedback on the project. We will seek to gather the books requested via donations from Germany, Europe and the United States. In this regard please note: Unfortunately it will be very difficult for us to collect books published in Russian language. Please do not hesitate to spread word about this survey among your academic friends and colleagues. The more people know about this project, the more wishes on required books we can try to fulfill.